The mission of Gordon State College's Programs in Fine and Performing Arts is to celebrate the diverse expression of human emotion, thought, imagination, creativity and discovery by improving each student's foundation in performance in the visual arts, music and theater. An Associate of Arts Degree in Visual Arts will provide you with the necessary skills in drawing and design. The Area F courses related to this program of study will also allow you to concentrate in art history or painting. 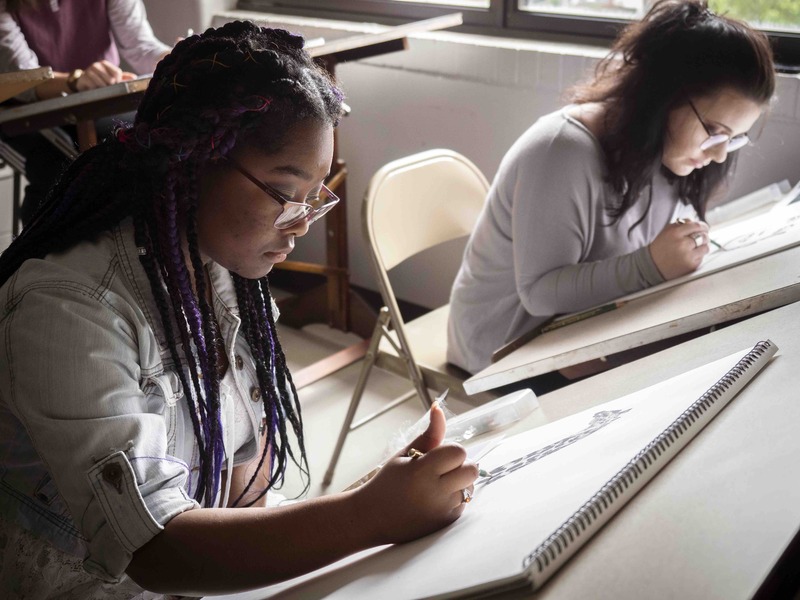 While this degree would allow you to pursue a career as a professional artist, it could also allow you to pursue careers in diverse areas such as public school teaching, museum and gallery administration, media arts, and art history.